Pharmacy technicians receive and interpret prescriptions and prepare medications for distribution under the direction of a pharmacist. 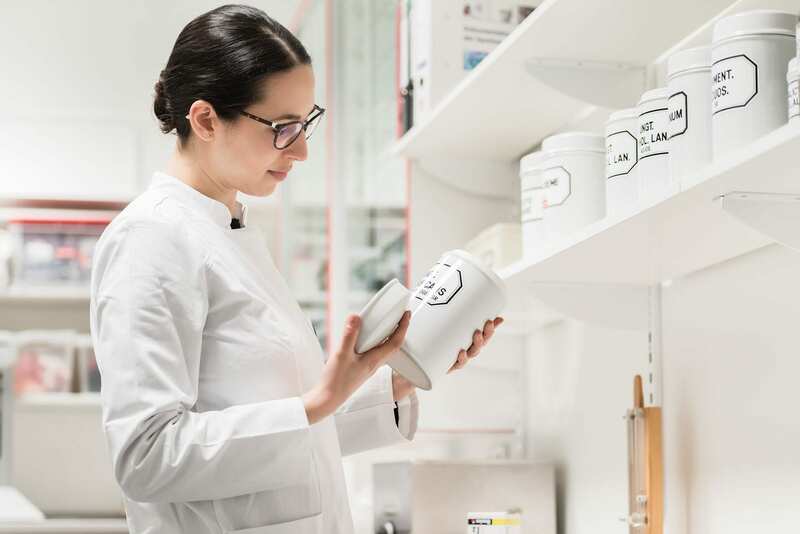 Since preparation of medications involves mixing, counting, measuring, and labeling, pharmacy technician programs cover these essential skills that will enable students to transition seamlessly from the classroom to the workplace. Other pharmacy technician duties may include but are not limited to review prescription refill requests, using proper storage techniques for medications, answering the telephone, setting up appointments between customers and pharmacists, filling and labeling containers, cleaning and maintaining pharmacy equipment, pricing medications, and sterilizing glassware according to established standards. Pharmacy technicians are doing more in the pharmacy. The extension of the role is a natural response to the expansion of pharmacy services in the community as well as the development and distribution of new drugs on the market. 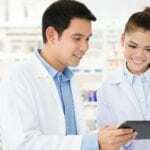 The active role that pharmacy technicians play in the pharmacy operation fees the pharmacist to deliver pharmaceutical care and counsel, which is the objective his education and licensure. 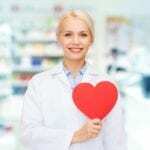 The pharmacy delivery model demands more from the pharmacist and forces the pharmacy technician to do more. As a result of their expanded duties, certification is becoming a standard requirement from employees and state licensing agencies. The pharmacy technician program at East Hartford Adult Education Center prepares students for employment as a pharmacy technician in the comprehensive 50-hour program. Graduates will be eligible to sit the PTCB exam. Areas of study include medical terminology, pharmacy practice in multiple environments, history of pharmacy, pharmacy calculations, reading and interpreting prescriptions, and defining drugs by generic and brand names. In addition to classroom lectures, students will participate in hands-on lab where they will review dosage calculations, drug classifications, IV flow rates, dose conversions, sterile compounding, aseptic techniques, dispensing of prescriptions, inventory control, and total parental nutrition. Classes meet Mondays and Wednesdays from 5:00 pm to 8:00 pm for two months. Tuition for the program is $1,199. The course textbook in included in the tuition. The pharmacy technician program at Manchester Community College is a comprehensive, 60-hour course that will prepare adults for entry-level employment in a community or institutional pharmacy. The course content will also include extensive preparation for the PTCB exam. Course topics include pharmacy medical terminology, IV flow rate, inventory control, reading and interpreting prescriptions, drug compounding, dosage calculations, and dose conversion. Classes meet twice a week for 10 weeks (20 sessions). Tuition for the program is $825 and includes the course fee and textbook. The Certified Pharmacy Technician program at Asnuntuck Community College provides students with the skills and training needed to succeed as a pharmacy technician in retail and hospital pharmacies. The curriculum includes lecture and discussions to give students the competencies to work as effective pharmacy technicians. Graduates may apply to take the PTCB to become Certified Pharmacy Technicians. Course topics include roles in healthcare, introduction to pharmacology, medication distribution, aseptic technique, control measures, ethics and legal issues, disease states, pharmaceutical calculations, and pharmacy operations. The 72-hour program is designed to be completed in 6 months. Students may also enroll in the optional 80-hour pharmacy externship at Baystate Medical Center. Students must complete the Essential Job Skills and Career Development course (14 hours) to receive a certificate of completion for the Certified Pharmacy Technician program. Graduates who obtain certification from the state are eligible to receive college credit for Charter Oak. The program admits new students several times a year. Be capable of performing duties in tight places and lifting or carrying up to 40 lbs. Tuition for the program is $2,562 and includes textbook, the PTCE fee, the Essential Job Skills course, and pharmacy externship. The pharmacy technician program at Capital Community College covers training in medical terminology, reading and interpreting prescriptions, dosage calculations, defining drugs by generic and brand names, inventory control, dispensing of prescriptions, billing and reimbursement, dose conversion, and drug compounding. The program serves as a review course for the PTCB exam. It is also excellent preparation for the world of work as it supports transition from training to the workplace. Workplace and career planning skills are included in the training. It covers 12 hours of classroom success, soft skills, navigating the workplace, resume and cover letter prep, and interview and job search techniques. Classes meet Mondays, Wednesdays, and Fridays from 9:30 am to 12:30 pm. Tuition costs $1,199. The exam fee is included in the cost.